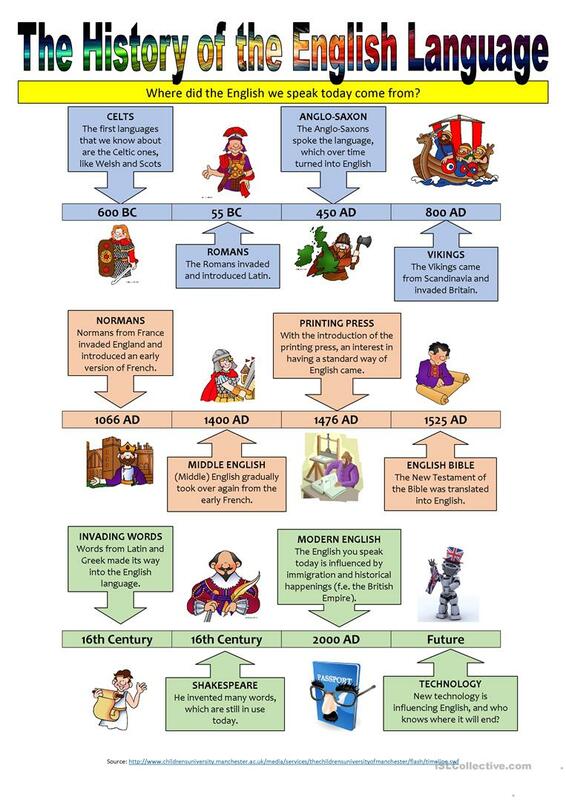 This is a short, illustrated timeline of the history of the English language. You can use it for discussions, games, or as a classroom poster. The above downloadable teaching material is a great resource for high school students and elementary school students at Elementary (A1), Pre-intermediate (A2), Intermediate (B1) and Upper-intermediate (B2) level. It is excellent for enhancing your groups' Listening, Speaking and Reading skills. It features the vocabulary topic of United Kingdom. ksfredriksen is from/lives in Norway and has been a member of iSLCollective since 2012-05-23 09:12:57. ksfredriksen last logged in on 2019-04-24 13:32:59, and has shared 65 resources on iSLCollective so far.